On January 5th, Day 1 of the THINKTECH Accelerator, our Awardees hit the reset button. A new year meant being open to new thinking. Everyone had committed to a number of technology based milestones to be completed by June so the pressure was on. 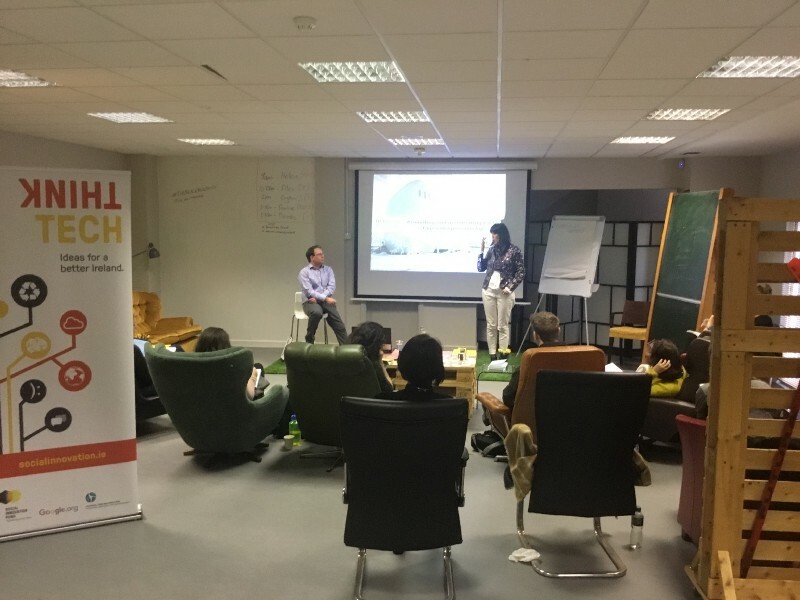 Helen McBreen of Atlantic Bridge Ventures set the tone for the voyage that lay ahead with key learnings from her days leading the NDRC Accelerators – “think-plan-do” & “always be learning”. We often charge head first into projects but the simplicity of having a well developed plan that’s rooted in simple milestones with measurable metrics can be a defining task that sets you up best for success. The commitment to measurement isn’t just the collection of data, but drives an organisation’s vision, plan and goal setting. It also allows organisations to stop and ask ‘are we using the right metric and do we need to change’. When defining success there’s often a need to track both direct and indirect social impact. For an example of direct impact, an ageing organisation may measure the number of older people supported by volunteers &/or app technology. An indirect impact example may involve a change in attitude towards older people living at home longer. There are clear differences in ownership of impact from the above examples but to measure one and not the other (often the indirect) would be a disservice to the impact your organisation is influencing. So lesson 1 from the Accelerator was crystal clear. Whether it’s project planning, technology development or social impact, the importance of selecting SMART metrics and committing to consistent measurement can prove crucial to telling the story of your organisation’s success.